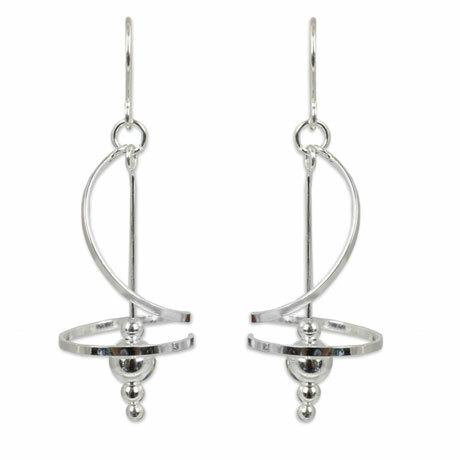 Poetry in motion, these graceful earrings gently dance and twirl as you go about your day. 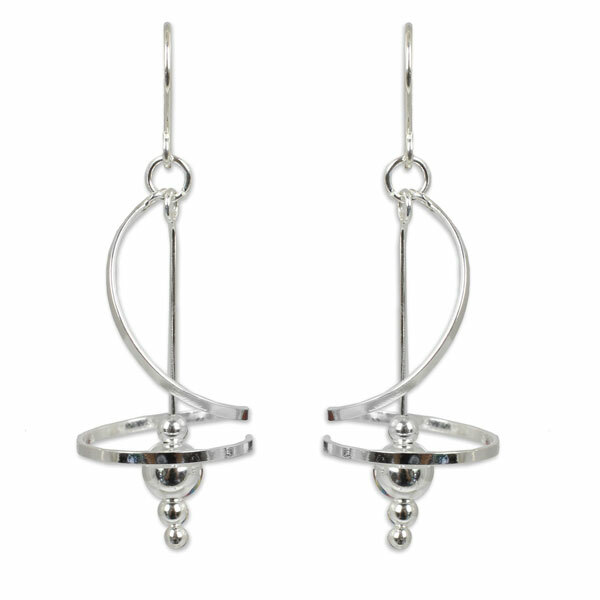 Meticulously crafted ribbons of sterling silver are shaped by hand into gleaming curves and accented with graduated beads. Designed and made in Thailand, lightweight, contemporary earrings hang 2". 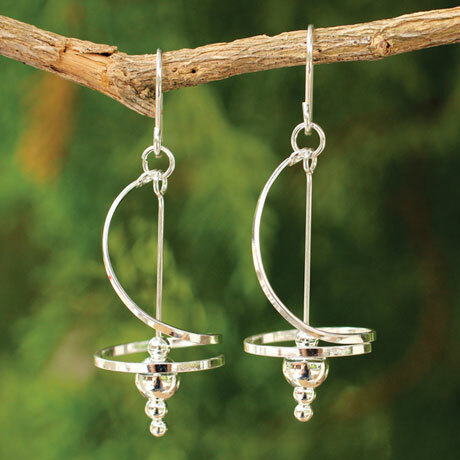 A Fair Trade item from Novica in association with National Geographic, empowering artisans around the world to succeed. Earrings arrive with a cloth gift bag.